11. Suppose a person would earn Rs. 10,000 in base period. Suppose the cost of living index increases by 20% over base period. Then the employers of that person increase his salary by Rs. 1500. Which of the following option is TRUE? 1) He is just able to maintain the same standard of living as in base period. 2) He should claim Rs 500/- as Dearness Allowance. 3) He can improve his standard of living as compared to base period. 4) He should claim Rs 2,000 as Dearness Allowance. 1) If group indices increase k times, so also CLI does. 2) CLJ remains unchanged if all the group indices increase by a constant amount. 3) CLJ helps determining Purchasing Power of Money. 4) Dearness Allowance is fixed by considering CLJ. 14. A sample of 60 students is to be selected from a population of 480 students belonging to 3 different schools. 28. Which of the following is a method of collection of primary data? 46. 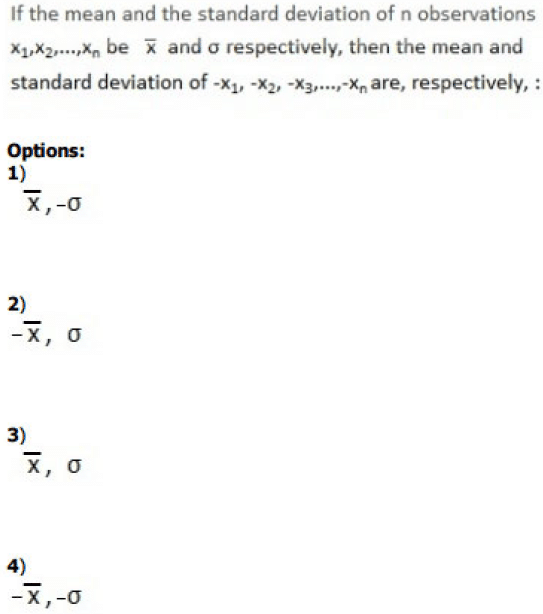 Which of these statements on variation is INCORRECT? 1) Chance causes variations are preventable. 2) Chance causes are beyond the control of human hand. 3) Assignable causes of variation are preventable. 4) Assignable causes can be detected and measured. 57. Moments are statistical constants from which we can find the different features of a distribution. Which one of the following is INCORRECT? 1) First Central Moment is the mean. 2) Second Central moment is the variance. 3) Second and Central Moments are needed to find skewness. 4) Second and fourth central moments are needed to find tie kurtosis. 60. Demand for seats in a university is at its highest in the fall; demand also trends to grow and fall off in 25 year waves. In time service forecasting, the former demand characteristic would be called______ and the latter would be called_____ . 61. Fill up the blank: The secular trend is the part of time points where more or less regular and______ is observed showing either the tendency of growth or decline. 62. 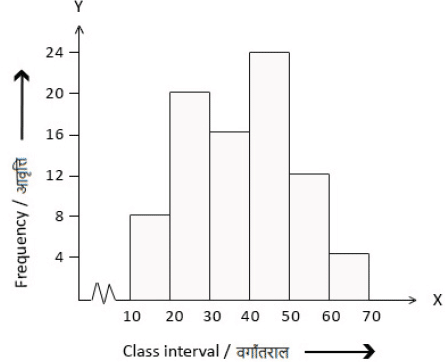 Following histogram shows certain frequency distribution against class intervals. 2) should be used once. 3) should be used twice. 4) should be used at least three times. 68. Let A and B be the two possible outcomes of an experiment and suppose P(A) = 0.4, P(A U B) = 0.7 and P(B) = p, for what choice of p, A and B independent? 73. If a time series data is given below then find three yearly moving averages to find trend. 77. 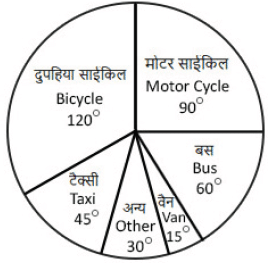 The annual vehicles production (in lacs) in India is given in the pie chart. 85. The formula for calculating an index number should be such that it gives the same ratio between one point of comparison and the other, no matter which of the two is taken as the base or putting it another way, the index number reckoned forward should be reciprocal of the one reckoned backwards’ which test of consistency of index number is this ?